One of the younger nameplates in the Ford family, the 2017 Ford Escape has continued to be one of the most popular crossovers on the market today. In fact, as the experts at Car and Driver point out “the Escape sells in greater numbers than any Ford save the F-150 pickup. With one of the most efficient engine packages in the market as well as some of the most advanced technology available it is obvious that this SUV crossover is one of the smartest choices on the market. Don’t just take our word for it though. Let’s look a little closer at what a few automotive experts are saying. As the automotive authorities at Car & Driver perfectly point out, “every Escape boasts ergonomic enhancements highlighted by a relocated shifter and new electronic parking brake; together, these free up some real estate for redesigned cup holders and new cubbies for phones and other day-to-day detritus”. Combine this with easy-to-use all-around climate control and you can assure that both you, the driver, and your passengers will enjoy each ride in this popular Ford crossover. Available with a 168 HP, 2.5L four-cylinder engine, which is paired with a six-speed automatic transmission and front wheel drive; a 179 HP 1.5L turbocharged four-cylinder engine or a top-of-the-line 245 HP 2.0 L turbocharged four-cylinder engine, Edmunds Editor Dan Frio agrees that “the Escape delivers strong acceleration and reasonable mileage without pushing the price tag”. As Cars.com even points out, the 2017 Ford Escape’s available technology, like the Start/Stop feature, even plays a role in providing an average fuel savings of 4 to 6 percent for its customer. “Both of the Escape's turbocharged engines come with new stop-start technology for 2017, a fuel-saving measure that even luxury cars struggle to perfect”. The handling in the all-new Ford Escape is also unmatched by the competition. In fact, this is just one of the features that ranked the Escape number three in compact SUV’s by US News & World Report. “The Ford Escape remains one of the best-handling compact SUVs you can buy, rivaling the Mazda CX-5. It’s sharp steering responds immediately when you turn the wheel and the steering wheel is also easy to turn, so it's both sporty and comfortable to drive on long trips. A well-tuned suspension even adds to the Escape's comfort levels, providing a smooth ride while keeping the SUV from leaning when you take a corner”. 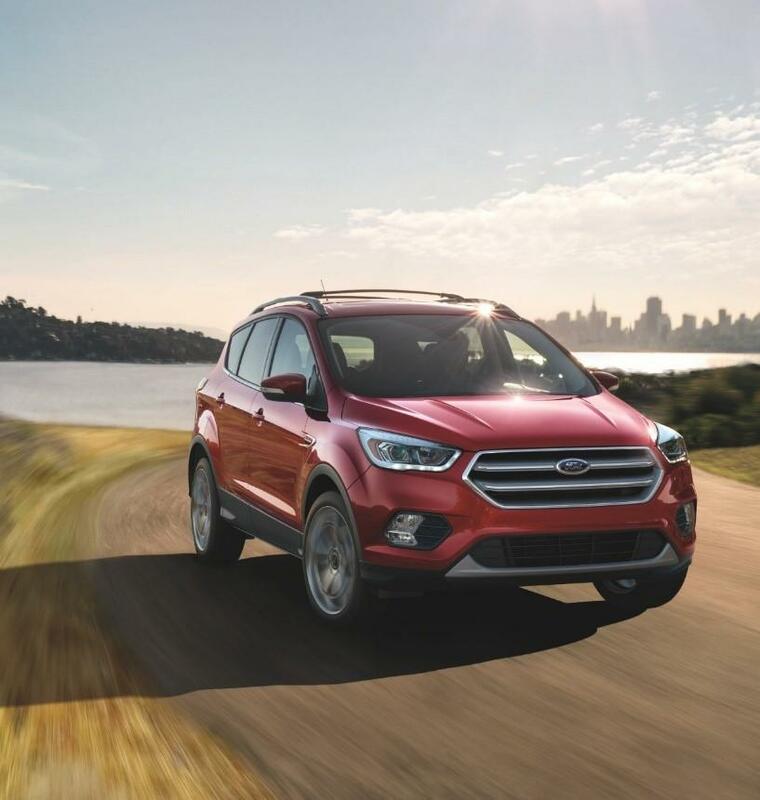 Are you intrigued about the 2017 Ford Escape, but want to take a virtual test drive before visiting one of your Southern California Ford Dealers? No problem, our friends at Kelly Blue Book are here to take you for a ride in the all-new Ford Escape. If you are ready to find out more about the 2017 Ford Escape, including our available Ford Specials, contact your Southern California Ford Dealer today!